If you are in the early stages of wedding planning, we have some information to share with you! We know selecting wedding photography is one of the most important decisions you are going to make for your wedding. 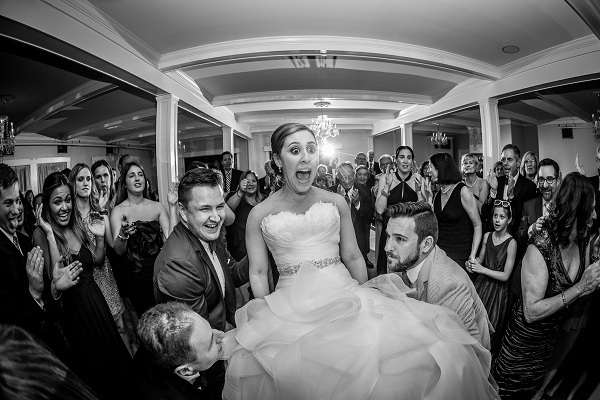 You want a highly regarded professional to document your wedding day to remember those moments during your ceremony, your first dance and the celebration with family and friends that will be cherished for a lifetime. There’s the experience leading up to your wedding day and then there’s the magic they capture. How do you know which photographer or wedding vendor is right for you? We think you want to find someone that you click with and someone that you can trust. The same is true with the band. We appreciate the team of wedding professionals that work together and that we can rely on to make everything flow smoothly for our clients. 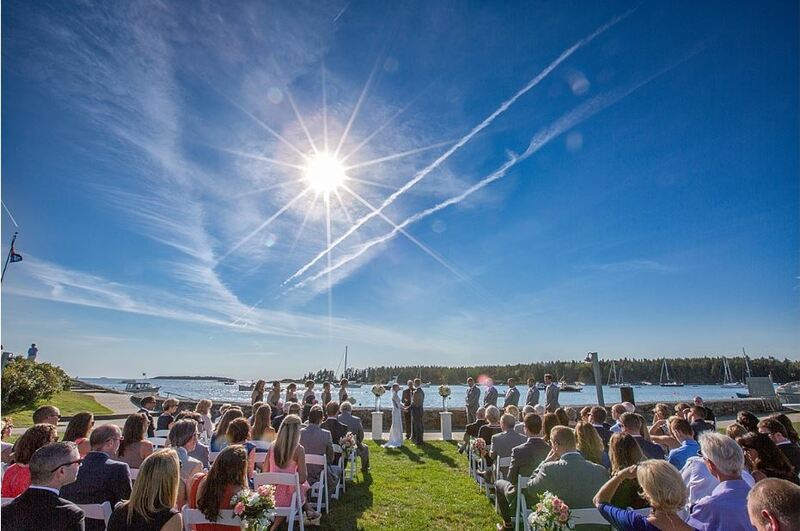 Wavelength chats with Maine wedding photographer, Russell Caron, of Russell Caron Wedding Photography, who is a full-time, husband and wife team, specializing in contemporary, creative, and artistically-modern wedding photography. We are delighted to share his style and advice with you in this interview. Our first wedding with Russ was in Camden in 2008 and we’ve been working together on many weddings and shoots ever since. Russ and Liz are nice people and a pleasure to work with. They are personable, professional and pride themselves on capturing authentic and magical moments from your special day. We hope this Q&A will help you understand how Russ and Liz conduct their business. Feel free to get in touch if you have any questions about their wedding photography directly on their website at Russell Caron Wedding Photography. Many years ago I worked selling cameras. I was big into landscape photography at the time, but shied away from photographing people. Despite this, a co-worker getting married insisted I could do a good job photographing her wedding. I “gave it a shot” (no pun intended!) and, well, the rest is history. That was about 550 weddings ago. 2. How would you describe your wedding photography style? Liz and I work to create what we feel is a unique, but just-right, blend of elements we call a contemporary style. While perhaps 80% photojournalistic, meaning not posed or setup, that remaining 20% is very carefully crafted to embody a wide gamut of essential other elements: gorgeous, timeless bridal portraits; vitally-important series of family photos (which we proudly work through with care but very efficiently so as to be respectful of people’s time and their general disdain for posed photos! ); classic bride-and-groom-together portrait, and our trademark artistic set which places the couple in the natural environment and gives them a sense of place in the world around them, often with them a relatively small part of the frame, and almost always interacting with each other and virtually never looking at the camera. Oh, and our now signature drone shots we do (only with the couple and never at the wedding ceremony or around crowds) from the air for a really new look of the couple on their most special day. 3. What is your approach to shooting a wedding? It’s quiet, calm, and yet with us having a clear, clean set of expectations among all involved. We do this through a very unique to us pre-planing process that our brides and grooms very much appreciate. Having our bride and groom (and everyone around them) as free of stress is such a vital component of having a set of wedding images that are cherished forever. Our couples always report, too, on how fun we made the process for them. 4. What do you think makes the best wedding photographs? Approaching the day with that combination of styles we discussed above and that calm demeanor and fun we exude makes for a real winning combination. That and exemplary customer service from the first email inquiry to after the final delivery of the images or, even better, the couples heirloom wedding album. 5. What is your standard package? Can you customize a package? Our most popular package is extensive, for all the right reasons. It’s 10 hours coverage with Russ with 7 of those hours also covered by Liz as second photographer. Because we don’t want anyone to have to spend a penny more after-the-fact, our packages always include a full set of wedding day digital images with an unlimited use copyright license. For weekday weddings we can customize smaller packages, and in fact love doing so. For weekend weddings we can customize to add coverage or other content our clients may ask for, though this is seldom needed due to the thoroughness of our standard offerings, even our 8-hour packages. 6. What is your best piece of advice? There are several, and they all tie in! Here they are: DON’T COMPROMISE on your wedding photography dreams. There are so many other things that can adjusted to compensate. Keep in mind the difference between, for example, that $4,500 wedding photography package you really wish you could have and the $3,600 package your initial budget seems to call for is $900. A few less of something that is going to be thrown out or otherwise consumed or swept up by the last dance can easily subsidize this amount if not a lot more. Even at full face-value, $900 is a small price to pay to help avoid the #1 regret of brides post-wedding, that being that they didn’t spend enough on their photography. There are many other areas in which compromise won’t have the life-lasting effects of cutting your photography. It’s the only thing you’ll be buying that lasts forever. This all means: DON’T SHOP FOR YOUR WEDDING PHOTOGRAPHY SOLELY ON PRICE. Most often that is a recipe for serious disappointment. DO include an engagement session whenever possible; it’s all about the rapport-building and the importance of the couple knowing in advance we make the photography fun and stress-free. 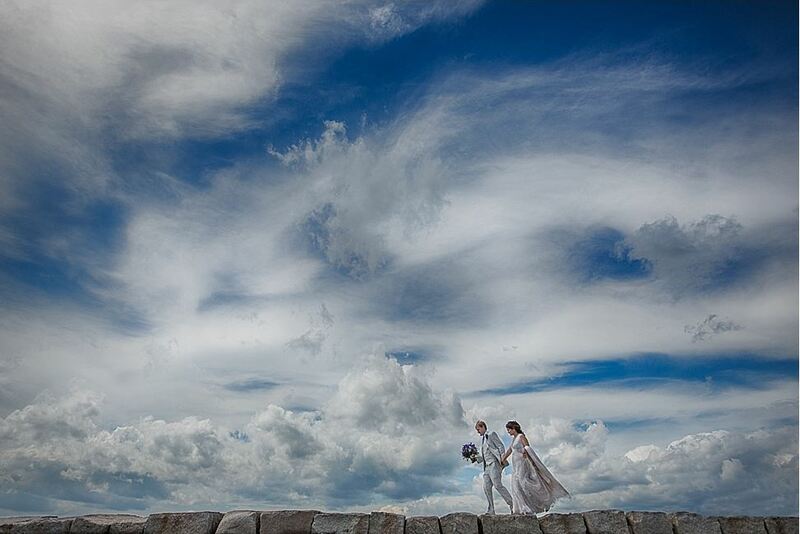 We thank you for reading our post on Maine Wedding Photography. All photos in this post were from weddings or photo shoots that we worked on with Russell Caron Wedding Photography. 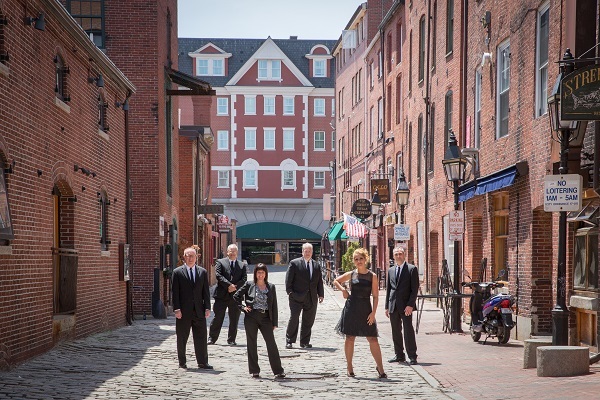 Should you want to learn more about Wavelength Weddings, call us today at 207-883-0893. Thanks for asking us to take part, Johnna. We love working with you and look forward to our next wedding together! Same here! Thank you for participating!